When I finally got my hands on a copy of Messiah Tortoise, I was immediately immersed in the world of James R. Gapinski’s zoo. Within the pages of this svelte yet substantial chapbook I met a schizophrenic penguin, a contortionist doing yoga with spider monkeys, a fruit bat in the midst of an identity crisis and a zookeeper who replaces runaway flamingos with plastic ones. Humorous, reflective, and a little bit wild—think George Saunders with a dash of Leonora Carrington—Gapinski has a knack for guiding us through the pitfalls and epiphanies of everyday existence. Whether you choose to savor each story in the collection or devour them all at once, Messiah Tortoise is a welcome excursion into the zoos of the imagination. In addition to publishing Messiah Tortoise, Gapinski has published fiction in several literary journals, and he’s also the managing editor of The Conium Review. He told us about his writing process in a recent interview. The stories in Messiah Tortoise all take place in a zoo. Was this a conscious decision from the beginning, or a theme that emerged as you wrote? What was your writing process like? This was a conscious decision. I wanted to create something funny and absurd, and what better setting than a dysfunctional zoo? I didn’t have every piece mapped out, though. I started with the idea for this story cycle, and then the zoo took clearer shape with each story. I kept imagining the different animals, employees, and visitors who might inhabit this world. It took a lot of over-writing followed by hefty trimming. Which story was the most rewarding to write? The most challenging? Were there any stories that didn’t end up in the final version of the book? The title story was the most rewarding—I found myself more personally invested in this one, and it became the central image for this collection. “The Grizzly Bear’s Cave” was the most challenging. When I first wrote it, it was darker and more linked to the bear’s point of view than the zoo employee’s. I first wrote this piece in 2014, and I kept reworking it into 2017. This entire collection took a lot of rewriting and reconfiguring. And yeah, a lot of stories got cut completely. At one point, there were twenty stories in Messiah Tortoise. The published version is ten stories. A few pieces died because the drafts were weak and weren’t improving with revisions. But for most of the stories, I cut them because they didn’t match the overall aesthetic. I wanted a consistent tone and feel to the book, as if you could imagine all these stories happening in the same zoo. Yeah, I can see that interpretation. Many of the stories involve characters acting a certain way because they feel like they must. Maybe we’re all just living in a social zoo, and our behaviors are caged by social pressures, or something like that. But I don’t think there’s a single guiding metaphor or meaning behind the zoo itself—it’s more about what you bring to it as a reader. I tend to think of these stories as having smaller, more intimate meanings. With something like “There’s No Such Thing as Fruit Bats,” it’s more about empathizing with the narrator and understanding what he’s going through. Messiah Tortoise is dedicated to your brother, and in the title story, the main character’s brother is in the hospital. Is there a connection between the title story and an experience of your own? To an extent, there is a connection. I didn’t go into that story thinking it’d be about my brother’s passing, but as I kept working on that piece, I couldn’t help but think about it. My brother, David, died of an overdose in 2011. So obviously the circumstances were different. The brother in the story is in a coma, and it seems pretty hopeless. The main character can’t say goodbye properly, but there’s still a period where the narrator can process what’s happening. And there’s a latent sense of hope too. I didn’t get that with David. I didn’t get to wish upon a star—or pray to a tortoise or whatever—for my brother’s speedy recovery. It’s a strange story for me because I lived through something fundamentally different, but this story still offered a way for me to explore similar ground. 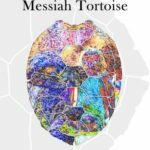 The animal characters in Messiah Tortoise often behave like humans, and the humans like animals. I’m thinking of the agoraphobic bear in “The Grizzly Bear’s Cave,” or the paintballers blasting away penguins and lemurs in “Wild Paintball.” Do you think animals and humans have more in common than most people like to admit? I suppose so. Of course, personification also makes it easier for readers to connect with these stories. But yeah, humans are also not that special. The line that separates us from the animal kingdom is tenuous. Greed, compassion, lust, love, jealousy, creativity. Plenty of animals exhibit these traits. The main thing that separates us is that we’ve figured out how to manipulate our environments more dramatically than the other animals. We think that makes us smarter, but we’re more like a plague that is gradually killing the host. What books are you reading right now? Is there any one in particular that you’d recommend? I’m currently reading Megan Hunter’s The End We Start From. It’s a wonderful read, and I highly recommend it. The language is so crisp and precise. Next on my list is Carmen Maria Machado’s Her Body and Other Parties. I’m also looking forward to the upcoming release of Rita Bullwinkel’s Belly Up. I’ve read some of Rita’s work in literary magazines, and she’s been published in The Conium Review, and I have high expectations for her debut collection. Read. The more you read, the more exposure you have to unique points of view, and the more well-rounded an author you become. Books are great, but read lit mags too. This will give you a sense of what is happening in the lit scene right now. Lit mags are like a sneak preview of tomorrow’s books. You’ll get to hear from new authors you may not have otherwise discovered. That’s how you become a better author and literary citizen. But if your main goal is simply to get published, that’s a whole different conversation, and it’s not necessarily the same thing as becoming a better writer. James R. Gapinski’s collection of linked flashes, Messiah Tortoise, is available from Red Bird Chapbooks. His fiction has also appeared in The Collapsar, F(r)iction, Juked, Monkeybicycle, Paper Darts, Psychopomp, and other publications. He’s managing editor of The Conium Review and an instructional specialist at Chemeketa Community College. James lives in Portland, Oregon with his partner and a collection of 8-bit video games.